Distinctive angular zero radius corners design for convenient functionality and stylish look Elegant and functional drain grooves. 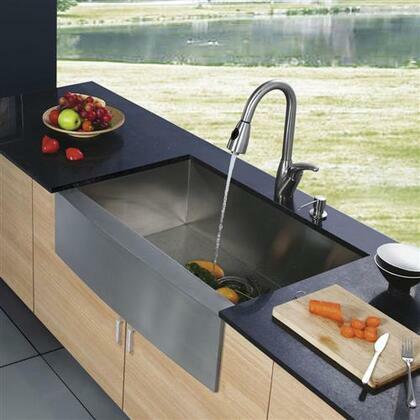 THis is a very beautiful sink with a single deep bowl to replace our shallow 2 bowl sink. It will be so useful since we do a lot of cooking and baking. 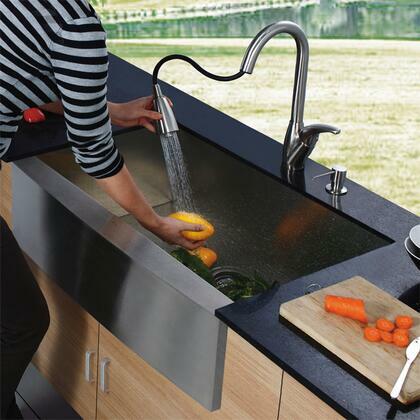 checked out other stainless sinks. really liked the features of the insulation around the sink. finish matches wonderful with the rest of my new appliances. recommend the grate for the bottom to keep from scratching. 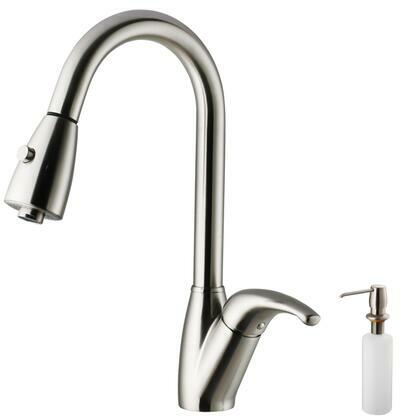 I have purchased over a dozen of these for homes that I build. My customers absolutely love them. They are a quality product & well packed for shipping. 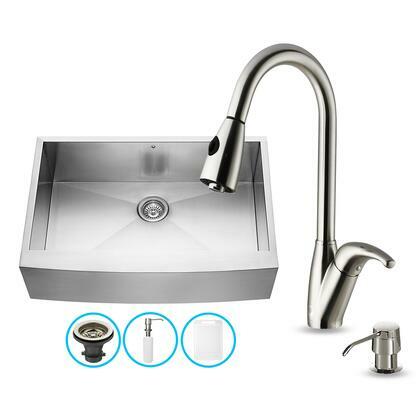 We have been wanting a farm sink for the longest time and love having one! There is SO much room and it looks so nice with our stainless steel appliances. 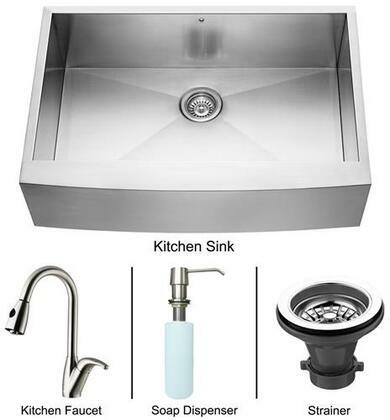 I wanted a farmhouse sink, but also wanted a more modern look. 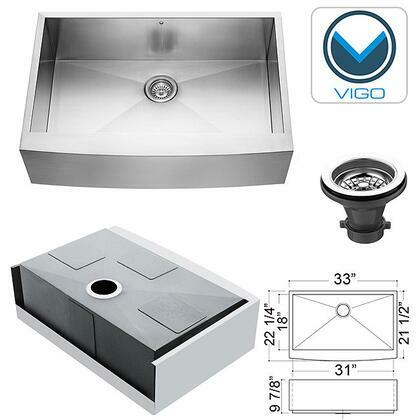 This sink has the styling and functionality I sought! Love the sink grid too! 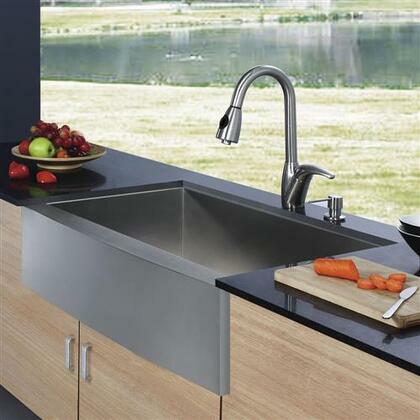 Very nice looking sink with a sharp appearance but how do you mount it in the counter/cabinet securely and safely? 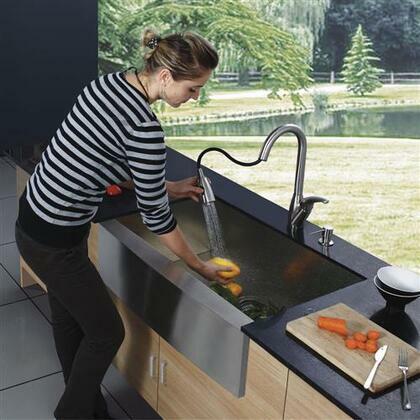 Elegant Sink, very heavy! 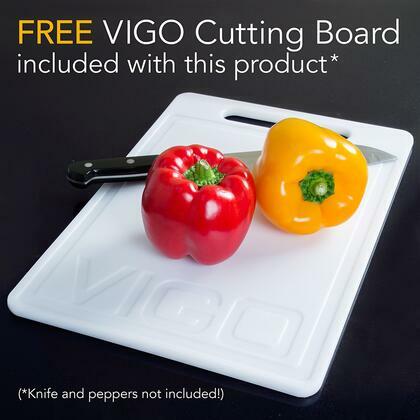 The packaging was excellent, a bonus cutting board was a nice surprise. The only reason I gave it four stars was there was No template included for cutting out sink base, but a professional apron sink installer should have no trouble. The product itself was very nice. I am very happy with my purchase. Bought 3 weeks ago, hasn't been installed yet due to countertops being back ordered.